Khapchenkova D. S., Mokrik I. Yu. Abstract. The article presents the results of own observations of children with coarctation of the aorta. Based on these data, we revealed that the clinical manifestations of congenital heart disease vary depending on the age of the child. Objective. To analyze the clinical symptoms of coarctation of the aorta in children, depending on age. Material and methods. 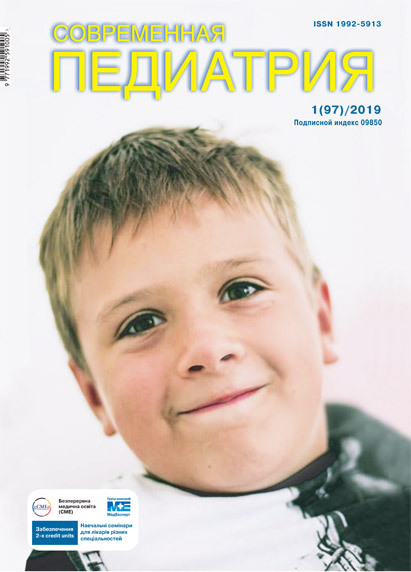 A retrospective chart review of 69 children with coarctation of the aorta (complaints, past medical history, physical examination data, the results of clinical and instrumental methods) was performed. Results. During the neonatal period coarctation of the aorta may be manifested by an acute heart failure, due to its combination with other cardiac anomalies. In infants the clinical manifestations of the defect may be prolonged anxiety, worse after eating, poor weight gain, cold lower limbs. In children older than one year, there are signs of congestive heart failure, hypertension, and hemodynamic overload of the left ventricle. In this case, children of all age groups have the main diagnostic criteria of the discussed pathology: the absence or sharp weakening of pulsation on the femoral artery and arterial hypertension. Conclusions. Clinical manifestations of CoA differ depending on the age of child. There is a late diagnosis of the defect in 41.7% of patients, the reasons of which are non-compliance with such clinical research methods as pulse determination on the femoral artery and control blood pressure, underestimation of the age-related features of CoA clinical manifestations. Key words: children, coarctation of the aorta, heart failure, arterial hypertension. 1. Nagornaya NV, Bordyugova EV, Kartashova OS. (2008). Abdominal ischemic syndrome as one of the manifestations of coarctation of the aorta in children. Child's Health. 5(8): 16-19. 2. Congenital heart diseases. Manual for pediatricians, cardiologists, neonatologists BINOM. (2009). Laboratory of knowledge: 384. 3. Prokhorova DS, Narcissova GP, Gorbatykh YuN et al. (2012). Dynamics of adaptation of the left ventricle in patients of early age with coarctation of the aorta before and after surgical correction. Pathology of blood circulation and cardiosurgery. Novosibirsk. 1: 11-15. 4. Evtushenko SK, Evtushenko OS, Perepepenko YuM, Moskalenko MA. (2003). Strokes in children and their causes. Journal of Neurology and Psychiatry. 103; 8. Stroke: 30-35. 5. Kvashnina LV. (2007). Summary of the pediatrician. Reference book. Kiev: 36. 7. Clinical protocol for the provision of medical care to patients with aortic coarctation. An order of the Ministry of Health of Ukraine of 03.11.2008 No622. Medical index. (2008). Surgery: Newsletter. Dnipropetrovsk: LLC Practice. 4: 42-43. 8. Boriskov MV, Petshakovsky VYu, Serova TV. (2010). Coarctation of the aorta in newborns surgery. Journal named by NI Pirogov. 10: 89-94. 9. Lebedeva AV. (2006). Residual arterial hypertension in the late postoperative period of surgical correction of aortic coarctation. Mechanisms of formation, principles of pathogenetic therapy. Abstract … cand. med. sciences. M.: 26. 10. Mutaf'jan OA. (2009). Heart defects in children and adolescents: a guide for doctors. 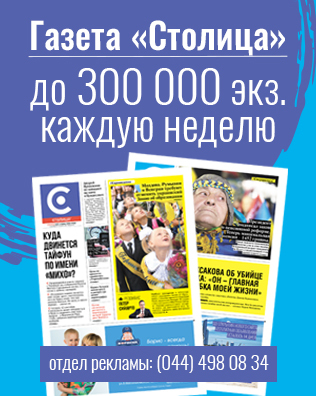 M.: GEOTAR-Media: 560. 11. Rogova TV. (2004). Clinic, diagnosis and indications for surgical treatment of aortic coarctation in children of the first year of life. Abstract. … cand. med. sciences. M.: 23. 12. Sukhareva GE. (2008). Interrelation of coarctation of the aorta in children with combined pathology of the vessels of the neck and head. Experimental and Clinical Medicine. 4: 71-74. 13. Todorov SS. (2009). Patomorphological characteristics of aortic changes in coarctation in children of the first year of life. Bulletin of Volgograd State Medical University. Quarterly scientific and practical journal. 3: 73-76. 14. Shevchenko EA. (2008). Ultrasound diagnosis of congenital heart defects in fetuses with chromosomal abnormalities in the first trimester of pregnancy. Questions of practical pediatrics. 3; 5: 120-123. 15. Ou P, Bonnet D, Auriacombe L et al. (2004). Late systemic hypertension and aortic arch geometry after successful repair of coarctation of the aorta. Eur Heart J. 2; 25: 1853-1859.